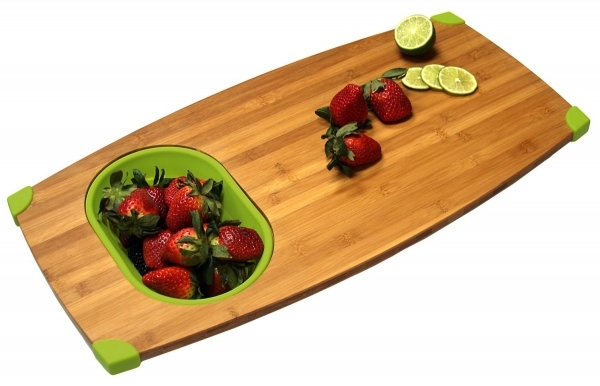 This over sink cutting board with a built in folding colander is a real treasure, a magnificent kitchen tool for home and traveling with your RV’s. The bamboo board can be stored in an area that is compact and can be used in limited spaces. 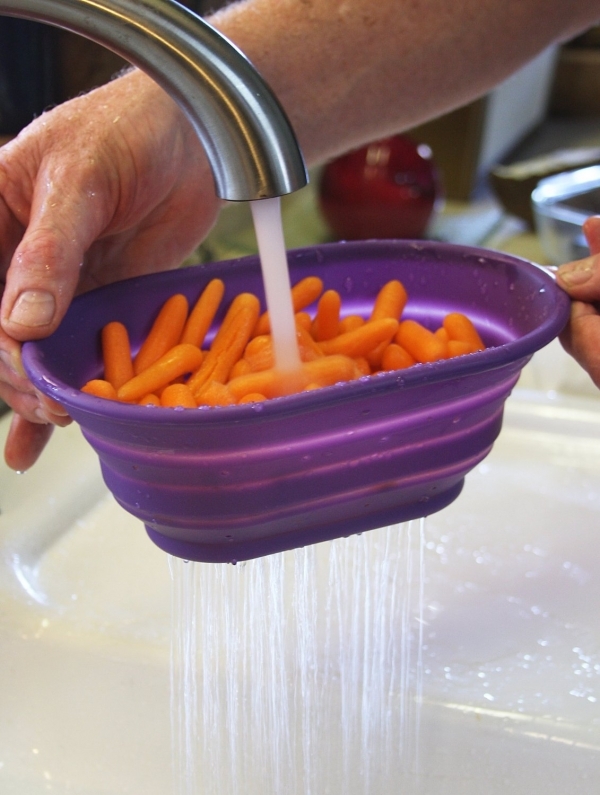 Just place it over the sink and expand the colander to prepare your food. 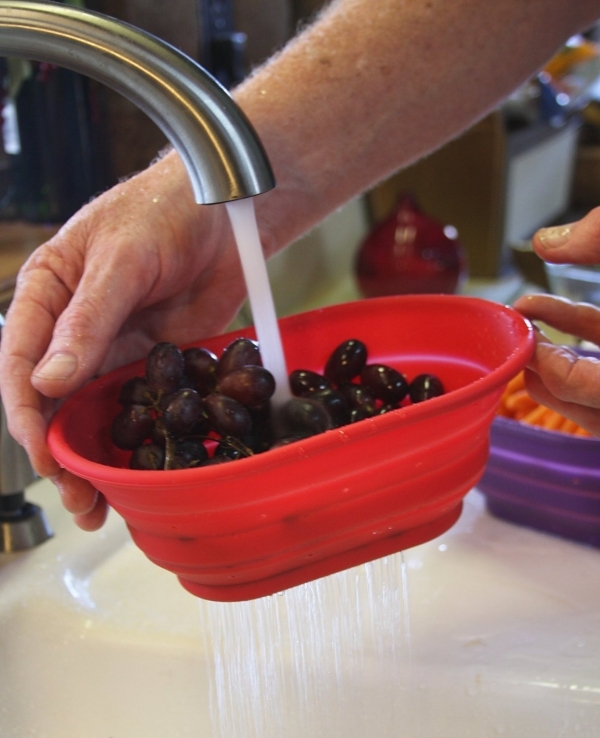 The colander is a sturdy silicone that you can choose in red, green or eggplant colors. The corners of the board will have matching silicone corners to keep the board from slipping out of place while on the sink. 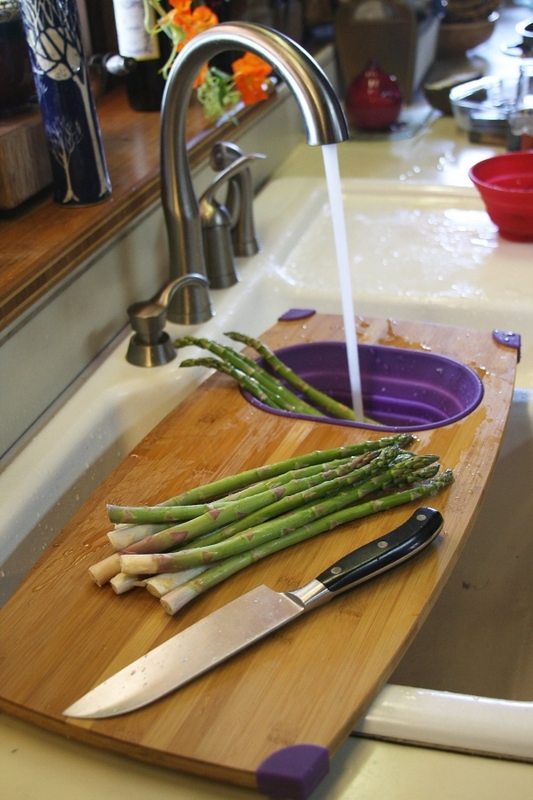 The over sink cutting board reduces the preparation mess from being on your countertops and taking up needed space for other items. Just wash, wipe and put it away!